Funny how you struggle to give your children a love of books by reading to them, going to bookstores and reading to them, visiting the library and reading to them, tucking them in bed at nap time and reading to them, calming them down by reading to them, and setting a nighttime ritual of reading to them. But finally, nothing ensures someone will grow up to love books or like to read, in spite of our good intentions. I read to my four children when they were small. Two of them are avid readers and the other two sort of like to read… sometimes. However, they all read to their children (I have eleven grandchildren). Yet, of these eleven children, so far, only a few are avid readers and two of them wouldn’t be caught in the same room with a book. Hopefully this will change, but who knows. Interestingly, one of my grandchildren, who is an avid reader, had extensive reading disabilities to overcome and spent hours playing video games when he was small and now, at the age of thirteen, he loves to read so much that it’s hard to keep him supplied with books. He devours one a day and the local librarians know him well. If you had told his parents or me that one day he would evolve into a voracious reader we would probably have thought you were hallucinating. Obviously, one never knows with children and to predict their likes and dislikes is to try to hammer jello to the walls (more on this in Part II! ).The point of this, I suppose, is to encourage parents to read to their children for the pure pleasure of it without assuming that you are molding that little human into a model student or early reader or even an interested reader of books. Because though you may end up elated at the fruits of your labor, you may also not. It’s so much more productive to remove the end goal from the process, in this case. Books provide such a closeness with our kids, both physical and intellectual, from babyhood until early adolescence, that even if they end up not loving to read, they will have the memories of your time together and the stories you read. What you say is important, Donna. Parents must keep reading joyful and social, must respect their children’s tastes and inclinations. Too many parents push reading so that the pleasure is lost. Children must associate books with pleasure in order to keep reading. I believe that any book that rewards a child’s attention is a “good” book”: cookbooks, how-to books, craft books, fantasy, sports books, even joke collections –these can lead a child back to fiction and more traditional children’s titles. Thanks J. Lee, you’ve given me something to think about…you’re right, any reading is “good” reading. This is an excellent article! Having raised 4 children, as well as working with children professionally, I can verify that Donna’s points are well taken. 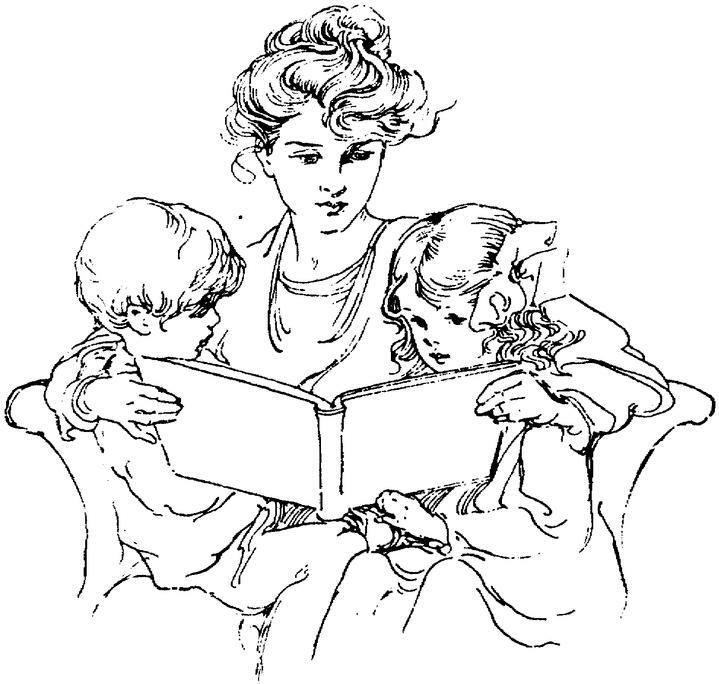 The experience of reading to a child, with the closeness and focused attention, is an end in itself. Of course, we can hope it will foster a love of reading, but since it is no guarantee, we hope that goal will be incidental.